Data repositories are much more than "black boxes" where data go in but may never come out. Rather, they are situated in communities, with contributors, users, reusers, and repository staff who may engage actively or passively with participants. 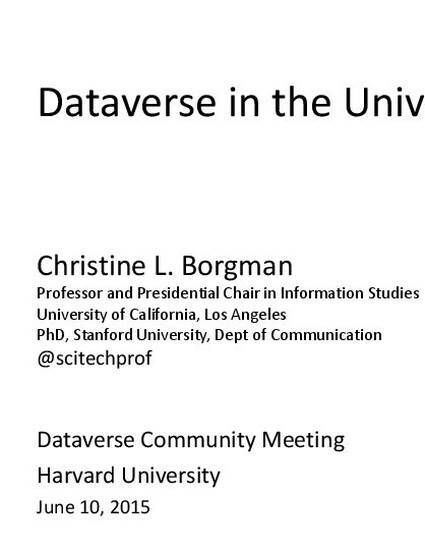 This talk will explore the roles that Dataverse plays – or could play – in individual communities.